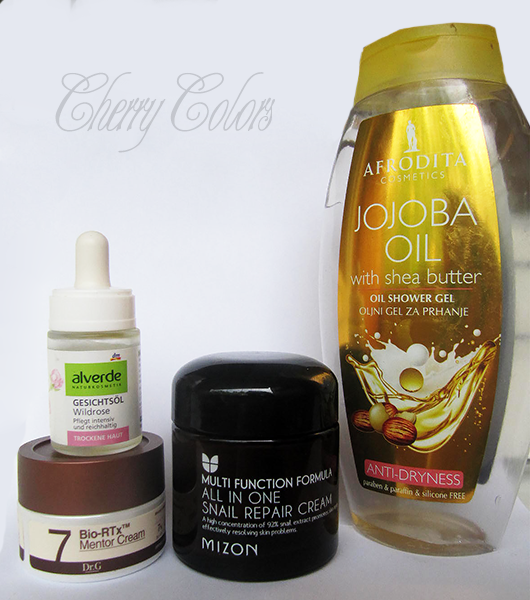 Empties #5 - Cherry Colors - Cosmetics Heaven! 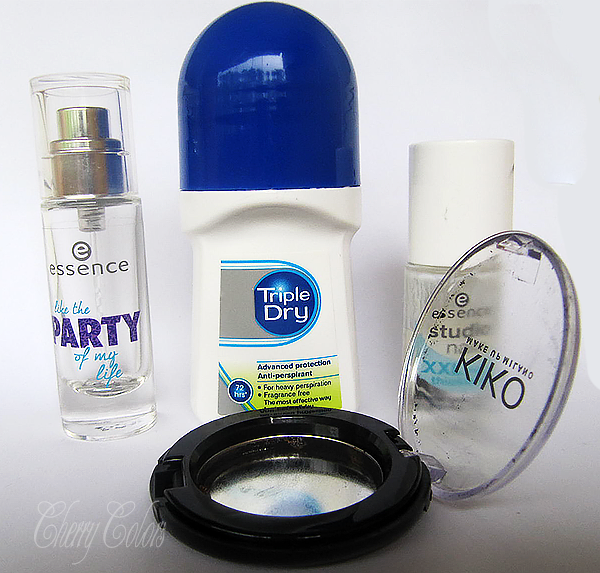 This one may not be as exciting as the last one, but it contains the essentials of my skincare regime. This oil is amazing. Comes in a really small packaging for a bit less than 4€ and it lasted me for a month. I used it daily for my face and my cuticles (cuticles love jojoba oil). A nice cream that is quite rich and moisturizing. It helped in the colder days, but I ran out of it quickly. In less than 2 months! This cream is expensive and I am happy I got it in my Memebox. The price is about $44. Repurchase? No, it's too expensive. A nice gel like cream that leaves my skin smooth. It has no scent and it didn't break me out. It is cheap and works well, but it's not very moisturizing. It may be perfect for summer. I was really excited when I saw this product in the store. I am a sucker for anything jojoba or shea butter. However the scent is damn owerwhelming. It smells like caramel... a lot of it. It says it doesn't dry the skin out, but it did dry my skin out. I have sensitive skin on my back and after a shower it was ITCHING with dryness... auch! Even if it's cheap.. thanks but no thanks. This is the first perfume ever that I have finished. It has a lovely mostly vanilla like scent. It is perfect for winter days and it developed nicely on my skin. I am not even sure why I bought this one.. oh wait, now I remember! The hormones were going crazy and nothing lasted on me more than 4 hours. I bought this one in the hope it would help me.. It is supposed to be used during the night, but I used it during the day. It didn't last long, but it was OK once my hormones settled down. It is not technically empty, but it's half full. It got thicker and almost non-usable. So I decided to toss it out. It worked well with my nails, but it wasn't anything special. This one I didn't use up.. it fell on the floor. It was almost new, too! This one was a black matte eyeshadow, that I was using for the outer V part of my eyelids. Because of its formula it didn't last long on my eyelids. But it did apply like a dream! What are the products that you liked the best?